Juli gardens a small yard in an older suburban neighborhood. There is a lot of problem-solving and fun on a small property. She likes to share what she's learned. She learns from others too. Grow several kinds of Peperomia – they don’t ask much! That was gardening advice I got as a college freshman from some guys visiting us from another dorm. The cute little green plant I bought and placed in the special little ceramic pot was no more. It was a little stump, shriveled and brown. “I thought it might grow back,” I said. Laughter all around. And the conversation moved on to other things. I pretended not to care but inside I was crushed. I had killed it. Maybe I couldn’t grow plants – all plants. Just curious and with nothing else to do, a group of us walk to a campus houseplant store we’d heard about. Upstairs on the second level of an old wooden building we see plants covering the inside of the windows like living curtains. This is it. Through the door and it’s magic! Humidity in the air thickens the earthy smell of living greenery. Everywhere rows and rows of small happy plants grow in black plastic containers, a different kind in every row. Larger potted plants sit in any available space showing off shiny or fuzzy or textured leaves, some with flowers. From rafters, hanging plants trailing lush leafy stems catch my head and shoulders as I walk by. Endless colors and textures up and down. I want to be a part of this lively tangle – or at least bring a little of it to my dorm room. A wondrous plant store. A purchase of a small Peperomia and a ceramic pot. The beginning of a lifelong fascination with growing plants. Back at the dorm, the cute little plant sat on my dorm dresser. In a ceramic pot measuring two inches across it dried out pretty quickly. The dresser was right next to the steam heat radiator. Behind the radiator was the window giving light to our room and the plant. The radiator pumped out so much good warm heat that to balance the temperature, we had to open the window to get some cold winter air. Super hot air and super cold air and not enough water – I was right. I did kill the plant. Not because I wanted to. I just didn’t think of the needs of this pretty living plant that I dressed up in a cute ceramic pot. Once I figured out that there was a little more to this plant growing fascination, I was up for the challenge of growing all kinds of plants. Despite my poor gardening start, Peperomia has turned out to be one of the easiest plants to grow because it’s really not too demanding. Native to: Tropical areas in Central and South America. Name: Piperaceae family which counts peppers as a member. Leaves: The reason they are so popular as a houseplant! There are many different shapes, textures and designs in leaves. Watermelon Peperomia – Smooth, striped leaf that look like its namesake. Emerald Ripple Peperomia – Ridges and valleys on each leaf. 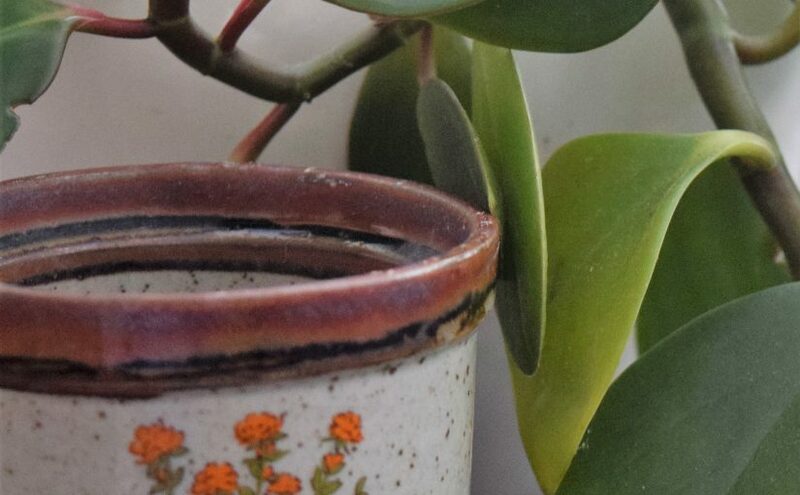 Baby Rubber Plant Peperomia – Round thick leaf. One variety is all green, the other yellow green marbling. Not related to the true rubber tree. More varieties are available online. Blooms: Shaped like a rat or mouse tail – greenish reddish stalk, ending in a pale green or cream fuzzy tip. 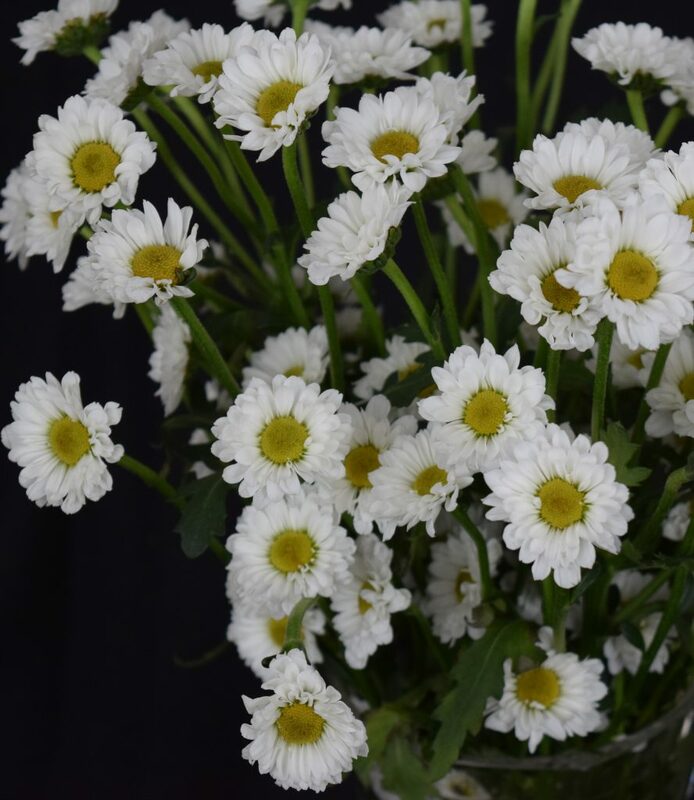 Height: Varies by species but can be a few inches in the trailing varieties to 12 inches for upright plants. Sunlight: Bright but indirect light. Too much sun burns the leaves. Grows well in fluorescent light. Soil: Medium potting soil that drains well. Repot when it outgrows the current one. Use the next size pot – too much soil holds water which creates potential for rot. Water: Check to see if most of potting soil is dried out. Water well every week to week and a half. Fertilize: Light use of soluble fertilizer spring through fall. Propagation: Grows from seeds, roots, cuttings either from leaves or stems. Most grow new plants by rooting a stem cutting. When making a cut be sure a node, the lumpy joint of the stem where leaves appear, is close to the bottom of the cut stem. Place in water. New roots grow from the node. Root rot is the biggest problem. They don’t require a lot of water. Some things I’ve learned: Pay attention to the plant’s growth requirements. Some plants are easier to grow than others. Don’t give up on a plant. Try another strategy or two, but know when to move on. I never did successfully grow the first variety of Peperomia that I bought. I have done well with others! Indoor heat is very drying for all parts of the houseplant. Tips on what to do. Winter time in the garden is special. Minus the leaves and flowers the bare architecture of the landscape is visible. When a cold weather front comes through everything is covered with frost or ice or snow. Each frozen form of water creates a different scene with the natural structures! When temperatures outside drop, heating systems inside turn on. Indoor air gets dry and so do people, pets and plants. For plants in particular, this means struggling to thrive or even stay alive. Time for action! Stricken look of the whole plant. It’s not full and green. It looks stiff. Stems wither or shrink. They have ridges where they should be filled out and smooth. Leaf edges are brown and crunchy. Before they open buds dry up and fall off. New flowers that survive the bud stage, dry up. Insects like spider mites take over because they thrive in hot dry conditions. Keep up with watering needs of houseplants. Check water level in plant pots regularly. Since winter heat causes rapid loss of plant moisture, it may be necessary to water houseplants more often than in summer when the air conditioner is on. Don’t forget dry heat in winter may cause succulents and cacti to dry out more quickly too. Their stems and leaves shrivel. While they need less water overall, drier conditions in the house can accelerate the need for more. Houseplants benefit from extra humidity in the air during winter. Following are some common ways to increase humidity around your plants. -A plastic tray with at least one half inch rim on all sides for several plants. -Plastic saucer for one potted plant, again with at least one half inch rim all around. -A ceramic or plastic pot with no holes in the bottom to serve as a sleeve to set your potted plant in. -Get creative with the “tray” and use deep plates, old pie dishes, aluminum pans – whatever you find attractive. Whichever you choose, the tray should be waterproof to protect the surface it sits on. 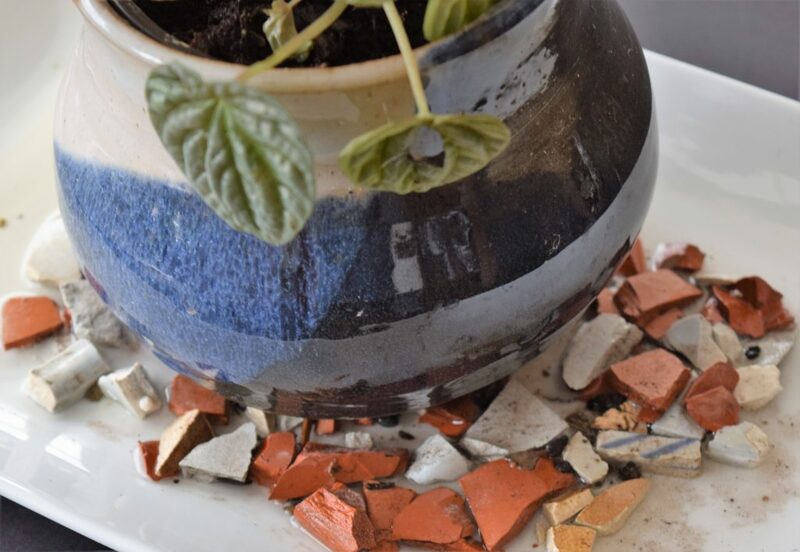 Add a layer of pebbles, small smooth rocks, aquarium gravel or even small broken pottery to bottom of plastic tray or saucer or sleeve pot – the plant should stand on a level surface. Add enough water to the pebbles so the plant sits on a dry surface. A water level just below the tops of the pebbles works well. Don’t allow plants to stand in water as that will cause root rot. Set potted plant on top of the wet pebbles. As the water evaporates humidity increases around the plant. Check the level every day or so until you figure out how often you need to replenish the water. Don’t let it go bone dry. It’s tempting to water the plant in the tray allowing the runoff to serve as a humidity maker. What often happens is the runoff level goes above the rock layer and the plant winds up sitting in water. To conserve water: water your plants over a bowl and use the runoff for the pebble trays. Whether using pebble trays or individual saucers or nothing at all, group like plants together based on their watering needs. Tropical plants for instance have the highest need for extra humidity. After all they are natives to balmy humid climates. Grouping creates a sauna for them. As they transpire water from their leaves and soil, the humidity level increases for all. Succulents and cacti need less watering. Group them together away from other plants to provide them the slightly drier environment they need. Placing bowls of water in different spots near plants will increase the humidity. Make sure the surface area of the bowl is wide to allow the most evaporation. All you have to do is check the water level every few days and figure out when to add more without letting the water level get too low or go dry. Sort of upside down or right side up keepers of humidity depending on how you look at them. These could be temporary solutions to winter dry air or a year round way to grow plants that require humidity. Cloche: a glass bell shaped jar that’s open at the bottom. It’s placed on top of a plant to provide extra moisture for plants like ferns that thrive in high humidity. Not only does it provide higher humidity, watering is reduced. Use of a glass cloche does require regular checking as air ventilation is limited. Keeping water in might work too well as the plant could have too much and rot. Propping open the bottom of the glass occasionally would provide some fresh air. There are plastic cloches sold for outdoor plants that have a simple ventilation device at the top to regulate heat and moisture. A possible winter solution for creating moisture for indoor plants? Terrarium: any shape glass jar that’s open at the top. Plants grow in soil inside the jar. Ventilation of course comes from the top. Regularly check for water needs as humidity escapes more easily. Another idea is to find glass jars even aquariums large enough to place a potted plant inside on a bed of pebbles. The enclosure provides extra humidity for a plant that needs it. Since watering might be a little tricky – remember no plant standing in runoff water, remove the plant to water. Although an energy user, a room humidifier will improve the moisture in the air. Follow manufacturer’s directions. Keeping houseplants happy with the right level of warmth and humidity makes the house an indoor garden during winter. It also means they’ll be ready for growing season once spring arrives. 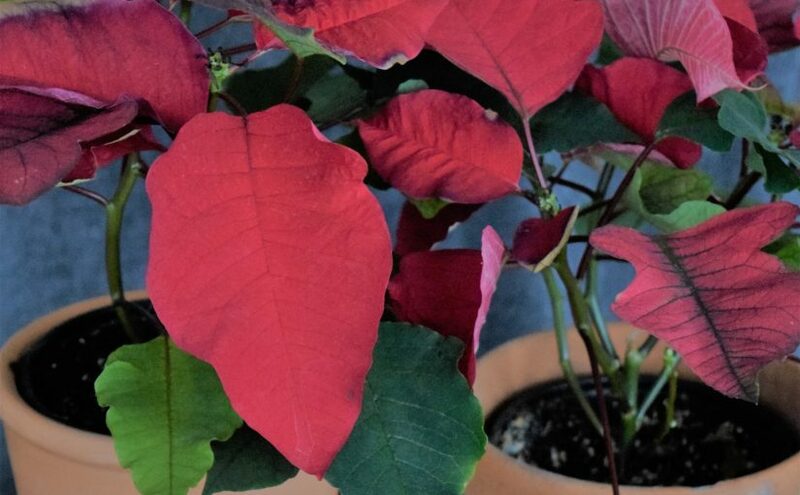 Tips for growing Poinsettia as a houseplant and how to get it to rebloom. What’s the best selling potted plant in the U.S. and Canada? Poinsettia – OK the title of this article gave it away. Another fact about this colorful plant: most sales of it occur in the six week period before Christmas. The best-selling plant in the country purchased in only six weeks! In fact it may be impossible to find it in stores at any other time of the year. A small shrub with a lively colorful leafy look, tiny yellow flowers peeking out from the branch tops, its base covered in shiny foil – green, red or gold. Together several pots of Poinsettia take charge in a space instantly creating a stunning decoration for the holidays! The combination of leaf shape, color and tiny flowers is appealing. Many green branches form this plant. Often each leaf on a long stem has several lobes. Uppermost on the plant the leaf is a solid color like the popular red one. Some cultivars have two tone splashes of color. Lower on the plant the leaf is green with veins of another color. Topped off with circles of tiny yellow flowers this plant steals the show! Native: Southern Mexico on the Pacific coast continuing south to Guatemala. They grow in tropical forests at mid – mountain elevations. Name: Honors Joel R. Poinsett who was an ambassador to Mexico from the United States in 1825 – 1829. He was also a botanist who brought the plant home to South Carolina. December 12 is National Poinsettia Day honoring the man who is considered the father of the Poinsettia industry, Paul Ecke Jr. The date chosen commemorates the day Joel R. Poinsett died. 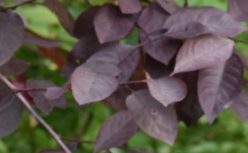 Leaves: Modified leaves called bracts come in red, pink, burgundy, white, yellow and mottled or bicolored which look as if they’ve been splashed with a second color. Blooms: Tiny yellow flowers located in the middle of the bracts. No scent to detect. Height: In their native habitat they are considered a small tree or shrub and can grow from three to ten to even fifteen feet tall. Cultivars sold as indoor plants range from a miniature three to six inches up to a large three feet. Width: In nature they can grow three to seven feet wide. Cultivars sold as indoor plants are generally about as wide as they are tall. Safety: A study done at The Ohio State University found poinsettias are not poisonous. Some people and pets have a reaction to the sap which is latex and that’s it! People and pets are not supposed to eat houseplants of any kind. Curious children and pets should be kept away as a precaution. If unsure about unpredictable kids or pets, don’t buy one. Instead visit and enjoy displays elsewhere. Sunlight: Indoors give it bright light but not direct light. Windowsills are generally too chilly for this tropical plant. It likes a warm 60 – 70 degrees (Fahrenheit) room with some humidity. Water: Regularly but let top dry out before watering again. Too much water leads to root rot. Too little water causes the plant to dry out and drop leaves. If keeping it in its foil wrap for decoration, remove plant from the foil, water it in the sink, let the water drain until finished and return plant in pot to the foil wrap. Throw it in the compost pile at the end of the season. Sunlight: Indoors – same as above. Outdoors: Part shade in summer. Watch the temperature! This tropical plant likes temperatures between 6o -70 degrees (Fahrenheit). Soil: Potting mix for houseplants. Remove it from the pot it came in and transfer it to the next size pot to give roots room to grow. Water: Same as above. Until it is moved outside it would benefit from sitting on a tray of moist pebbles for extra humidity. No standing in water! Fertilize: Feed with standard houseplant fertilizer once a month. Propagation: Take cuttings from the plant in spring or early summer when it begins to grow again. Cuttings should have an exposed node – the bumpy joint where the leaf grows from the plant. Expose the joint by removing any leaves from it. Roots grow from this spot. Place cuttings in a sterile and moist growing medium such as sharp sand. Water when top inch is dry, but don’t allow it to stand in water. Mist the cuttings to keep the top leaves healthy. When you can gently pull on the plant and it doesn’t come out of the growing medium, it has roots and is ready to go in its own pot of soil. New leaves will be green. How to get Poinsettia to rebloom: Cut the plant back by midsummer. Keep a few leaves on the plant. If the plant has been outside, bring it in when temperatures drop below 60 degrees (Fahrenheit). Beginning in October in addition to sunny days, the plant needs 14 hours of complete darkness at night. Some move the plant into a windowless room or closet where no light gets under the door. Some cover the plant with something that is light blocking, again, so no light shines through or underneath. However light is blocked, Poinsettia has to be in total darkness 14 hours every day until the plant’s bracts become colorful. Then stop moving it to a windowless room or covering it. Leave it in its day location and it should rebloom. Water amounts are the biggest problem. Too much or too little causes leaf drop or root rot. White sap that oozes out when the plant is cut can be a skin irritant for those with latex sensitivity. Wear gloves when working with the plant. The usual houseplant insects and fungus attack plants. Clean off the insects. Check the watering and location. Perhaps it needs an adjustment. Décor for the holidays is the most common reason people buy them. After the holidays remove the foil and transfer the plastic pot with plant into an every day pot like clay or ceramic. Follow directions above for growing them indoors. Poinsettias shine during the holidays. Dressed down for the remaining winter their colorful leaves make the home festive. Whether or not keeping them the rest of the year, they are a delight! Decorating for the holidays? Of course! It’s time to bring out all the treasures from past holiday celebrations that get used during one season of the year. Fun to unpack old friends again. Memories good and maybe a little sad come out of the boxes or containers. At the holiday’s end back in storage they go with maybe a few new decorations to pack. How about a holiday decoration that adapts to any season? A stunning flower arrangement often smells good, but has a short life – a couple of weeks at most. 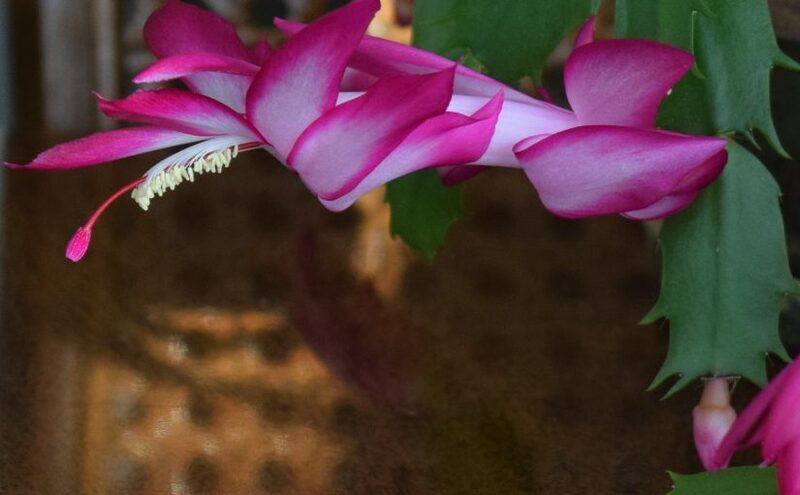 A live flowering plant like the Christmas cactus continues to grow all year. Blooms are abundant and add energizing color to your holiday arrangements as only a blossoming, living plant can. Sometimes called the Thanksgiving cactus or holiday cactus, this indoor plant produces many spectacular two to three inch flowers throughout the season. After the holidays and bloom time are over it’s an undemanding plant with arching green branches. It’s ready for the next decorating assignment! Flat and barely spikey green leaves grow in segments creating branches. At branch’s end a sturdy leaf yields a delicate flower bud. Each bud produces a bloom that telescopes out as petals open and fold back to reveal the next layer of the flower. Follow along the flower towards the end to see the cream colored almost fuzzy looking stamen. The “fuzz” is pollen. Look beyond the stamen to the pistil with a delicate red seed pod hanging down as the final touch. Fascinating and beautiful flower! This plant is a species of cacti called an epiphyte. Epiphytes grow on the sides of trees in the rainforest. No harm done to the tree, this epiphyte cactus just needs the structural support of the tree branches. It gets its food and water from air and rain and sometimes the plant material that falls around its base. Hybrids of these epiphytes are sold as houseplants during the holidays. Native: Grows in Brazil along the mountains of the country’s southeast coast. Names: Christmas cactus, Thanksgiving cactus and holiday cactus. The names refer to the time of year that the flowers bloom north of the equator. The genus name Schlumbergera is a nod to a Belgian horticulturist Frederick Schlumberger who it is said grew different species of this plant in his home. According to research there is some mystery about who or which Schlumberger actually gets the credit. But one of them lends their name to the plant. Zones: 10-12. Generally grown as a houseplant in other zones. Leaves: Segmented, slightly leathery and green all year. A segment joined to the next segment and then the next and so on creates a branch. Blooms: Most bloom November through December. Flowers come in red, pink, purple, orange or white. 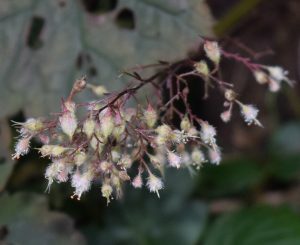 The blooms are generally two to three inches long. No scent to detect. Width: 12 inches to 24 inches. Propagation: New plants easily grow by leaf cuttings. A couple of months after blooming is finished cut the plant back by trimming the leaves off where they join at the segments. Place segments at least halfway into premoistened soil in a pot. Water lightly when dry. So that they receive the same light grow the pot of starter plants in the same area as the parent plant. New growth occurs at the end of the planted segments. Sunlight: After decorative use during the holidays place in low light from an east or west window. This avoids scorching leaves. It may be hard to find the right spot for the plant at first but keep experimenting. Once it has the right location it is easy care. You know you have the right spot when it surprises you with buds and telescoping flowers during bloom time. In the right place many people report plants that get larger and bloom like crazy year after year. If moved outdoors for summer, part shade on the east or west side of the home is best. 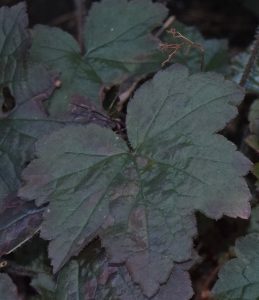 Remember the original plant of this hybrid grows in the under shade of a rainforest tree in its native environment. Strong hot sun will scorch leaves and dry out the plant. In zones 10-12 where it can grow year round outdoors, part shade is also best. Soil: Part potting soil, humus and sharp sand. Water: Sparingly but regularly. Keep the plant on the drier side. Overwatering causes root rot. Fertilize: Use a weak solution of fertilizer during the growing season spring through early fall. Soil that is too wet causes root rot which is the most common problem. The usual indoor insects like aphids, scale and spider mites may also attack if the location for the plant is wrong. Decorative in special containers for holiday displays anywhere you want to show it off. Follow directions for sunlight (above) once holidays are over. Make gifts of new plants from cuttings that were rooted earlier in the year. Christmas cactus is a flowering fresh plant that livens up any holiday décor and with care, continues to add to room arrangements all year. Yellow-orange maple leaves show off at the park. Who can resist the beauty of leaves in the fall? Summer green leaves turn colors not seen in a year. Trees become giant bouquets to rival any collection of flowers. As the final leaves on a tree turn they pause: a group having one last moment together. Then one lets go, several more let go and drift away followed by the others scattering, collecting somewhere down below. On the ground, the leaf collection has a scent, sharp and musty. Colors fade and turn to crunchy brown. And it’s time to gather them up. Where to next? Leaves raked and left on the curb wait for municipal collectors to haul away for community compost. A good way to recycle. But leaves can stay closer to home. How about free food for the garden? Here are three ways to use the once colorful autumn leaves. Rake them up. Use the power mower and collect with the bag attachment. Blow them into a pile with a leaf blower. However they’re collected dump them into the compost bin ready to decompose for next year’s fertilizer. Raking benefits: good exercise, no pollution. Lawn mower with bag benefits: covers large areas, leaves collected in one motion and ready for compost, completes the task in shorter amount of time compared to raking. 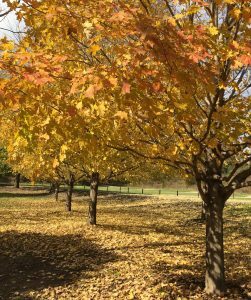 Leaf blower benefits: while noisier, moves leaves into piles faster than raking. 2. Leave them directly underneath the bushes or trees where they fall. In the forest, leaves decompose where they fall creating nutrients to feed plants in the woods. They provide cover for birds and other small animals, create a living environment for insects. Leaves also act as mulch protecting plant roots from freeze/thaw. They capture water and retain moisture. The same is true for the plants in the yard. Create a woodsy result with the plants’ own fallen leaves. A light layer of leaves will decompose over winter. Be sure to avoid mats or clumps of leaves. Thick mats of leaves promote disease. Spread the bounty with the rake. Move some to other areas that didn’t get any leaves. 3. Collect a thin layer of leaves on the lawn and run the lawn mower over them. This cuts them into small pieces that will fall between the grass leaf blades and decompose to feed the lawn. Again don’t leave mats or clumps to smother the lawn. Saves money on lawn fertilizer. Compost looks like rich dark earth. It crumbles well in hand. It often has worms moving through it. Find a location out of the way and in line with local government zoning laws. The area should be in full sun and drain well – no standing water. Use yard waste like leaves, cut grass from the lawn, perennial flowers that were cut back, annuals that have finished blooming for the season, small branches from shrubs. While adding yard matter cut larger material into smaller pieces so they break down easily. Material will fit better into the bin. Use the brown and green rule: add both dead or dried up plants and fresh materials like weekly grass cuttings. One to one ratio is considered best. Keep diseased plant material out of the pile to prevent the spread of harmful bacteria. These items can go in the garbage. Keep weeds out. They may not break down fast enough to kill roots or seeds. Tree branches take a few years to decompose. Best to leave them out. They take up space, don’t break down much in a year. Some cities have curbside branch removal services where they collect and shred branches for mulch for community use. Rent a shredder and make mulch for the yard. Consider having two bins. Since collection is year round, one sits with last year’s material decomposing in it. The other collects new material. The goal is to have compost ready from one bin to spread around in autumn. Rotate between the two: one for this year and one for next. Here’s how it works: add new material to the first bin through late winter – early spring, then stop. Let it rest, so materials have time to break down. Shift to the second bin in spring to add new material and collect in it until late winter – early spring the next year, then stop. Every autumn, remove the compost from the resting bin. It should be ready to feed the plants’ roots. The first year may not create much. Don’t worry. What’s on top may not have time to break down. If the top material doesn’t look like good earthy soil just transfer it to the second bin. This should expose the ready to use compost underneath. What Kind of Compost Bin to Use? One kind is not a bin: simply pile up yard material in an out of the way spot in the yard. It might blow away in the wind or wash away by rainwater. A second kind: buy bins. Make sure they are large enough to hold more yard waste than what’s planned. It can take a year for a pile to break down. The material when first put in can be bulky and awkward even when cut down – it’s not a smooth pile. A third kind: Make a bin. Bins can be made out of almost anything: used pallets or old boards hammered together (no treated wood – toxic), stacking cement blocks or bricks. Straw bales create a quick solution for a year but break down too and can be added to compost. A simple bin to make is a metal post and chicken wire bin. Plan to make two – it’s easier to access the compost if not buried under the newer non decomposed material. Three easy ways to use fall leaves after the color show is over. Composted leaves feed the garden crowd for next year’s display. An end becomes a beginning. American Cranberry Viburnum begins its change to orange red. Spectacular fall color is everywhere! Trees and bushes almost become new plants when leaves change color. Fresh autumn flowers pick up where summer blooms slowly leave off. Gourds and squash such as pumpkin give new geometric shapes, textures and colors to work with in decorations. Orange red leaves of Viburnum opulus var Americanum add fall color to this symphony. Go backwards to summer: orange red berries complement green leaves. Backwards again to spring: lacy white flowers appear all over the bush. How’s that for three season interest? Winter’s not so bad either when brown gray branches capture snow and support busy sparrows. Viburnum opulus variation Americanum is the the most current name of this shrub. The new name may be more difficult to ask for at the nursery or garden center, so keep these other two common names in mind. One is Viburnum trilobum because the leaf has three oval parts or lobes. 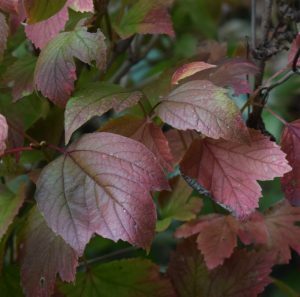 The other is American cranberry – a name used to separate this Viburnum from a similar bush that grows in Europe. 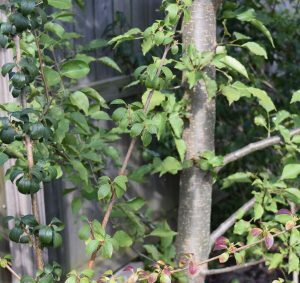 While it has berries that can be made into jam, this bush is not related to the cranberry plant that grows in bogs and provides us the large tart red berries we have at Thanksgiving dinner. This Viburnum is native to the region along the Canadian/U.S. border. In Canada it grows from Nova Scotia to British Columbia. In the U.S. it grows from New York, along the Great Lakes to South Dakota and west to Oregon. Not only does it provide three season color, it soaks up water. Planted in a berm to protect the house from water that runs into the yard from neighbors’ yards it receives the moisture it needs without sitting in water. Zone: Cold hardy in 2 – 7. Soil: Moist that is also well drained, not standing water. Average height: 8 – 12 feet. Average width: 8 – 12 feet. Location: Consider the height before planting. Place it where it can grow to its full height of 8 – 12 feet otherwise prune it to a shorter size every year. It expands in width when new shoots grow out from the ground near the original bush. A branch touching the ground will take root to produce a new plant that gets larger every year. Bloom: In late spring and early summer, flat white lacy flowers appear all over the bush. Leaf: Green with three lobes in summer which turn orange red in fall. Water: Considered medium, but since it is native to low wet areas, watering well during hot dry spells will keep it healthy. Fertilize with compost once a year in the fall to feed the roots. An insect called crown borer can cause dieback of the bush. The bottom of the trunk is where they do their damage. Larvae drill under the bark and feed on the inside of the trunk. They also feed on branches and roots. This weakens and destroys it. Keep the plant healthy. The insect is less likely to be attracted to it. Water during hot dry spells and fertilize in fall with compost. Borders, hedges and any place that water collects temporarily. Just make sure the water drains off. Arrange cut branches with berries in a tall vase as a background for other flowers or use alone in a container. Viburnum opulus var Americanum is an enduring shrub in the yard. It’s easy to care for when planted in a spot that meets its needs. It’s interesting in three seasons and attractive to songbirds. It’s worth planting! 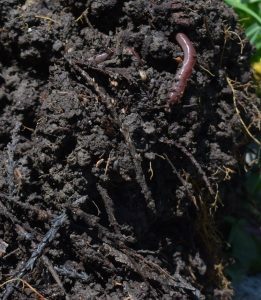 The best kind of soil amendment: compost with earthworm activity. Other than that’s what a plant grows in, I didn’t give soil much thought in my early years of gardening. Too busy touching, smelling, trimming and watering what grows above. Add a little compost on top of the soil in fall to feed the plant and done. I discovered that if I put a little more effort into the soil when planting something new, then add compost to the soil yearly while the plant is growing, my plant thrives. Makes me feel like a successful gardener! My yard has three to four inches of topsoil with clay below that. Plants don’t grow well in clay. It is made of compressed particles that leave no room for air or water to circulate. It does have nutrients but plant roots have trouble making their way through the compressed clay. New rule for my yard: When digging a hole for a new plant – amend or change the soil. Before you begin you need to know how deep and wide to dig the hole. Caution: math skills at work here! To find out how deep the hole should be, measure the height of the new plant’s root ball (the batch of dirt surrounding the roots whether round or not). With the measuring tape begin at the top of the ball where the stem goes into the soil and continue to the bottom of the ball. That measurement tells you how deep to dig the hole. Dig the hole two times wider than the root ball. Measure across the root ball from side to side. Multiply that number times two. Dig the hole that width all the way around. This will give your plant roots plenty of room to stretch out and grow. Two times the width is a general guideline. The tag on the plant often has directions for planting depth and width. Another place to look is online. Gardening books have information too. Knowing the depth and width of the hole to dig, it’s time to shovel. First dig topsoil from the top layer of ground. Put it in a pile on the ground to one side of the hole you’re digging. The clay from deeper in the hole goes in a pile on the other side. This makes two separate piles of material from the hole. It’s time to mix up “new” soil in a wheelbarrow using the shovel. Soil from the first pile. Clay from the other pile. Compost from your compost pile in the garden or a purchased bag. Using the shovel chop the pile of clay into very small chunks, less than ½” large. Put a shovelful of that in the wheelbarrow. Add a shovelful of soil from the other pile. Add a shovelful of compost to the mix. Chop and mix this all together with the shovel until it’s loose and fine. It’s ready to use for planting. Put a shovelful of the newly mixed soil in the hole and spread it out along the bottom. Set the root ball of the plant in the hole. Now fill in all around the root ball with the new soil. Press the soil gently as you add it to eliminate air pockets. Water can collect in air pockets and rot the roots. Not good! Finish by pressing down on the top layer with your hand if it’s a small plant like a day lily. Use your foot if it’s a shrub or tree. Water thoroughly – until the water quits sinking in, puddles and runs off. Add a layer of mulch on top to keep the soil from washing away. Mulch helps keep moisture in too. In the fall add a one inch layer of compost to feed the roots for next year’s growth. Amending poor soil like clay when planting has long term benefits. The plant gets off to a strong start with roots that can move through the soil, take in the nutrients that are available in it and receive water that drains well. Plant the best you can once and enjoy years of beauty. Forsythia (left) and Birch (right) remain close friends. Forsythia bush finishes its display of yellow blossoms for the spring season. I’m planting flowers nearby. I happen to look up then stand up startled. I’m staring at a smooth reddish-tan trunk of a tree about one and one half inches in diameter. Whaaatt? My eyes follow the trunk up past branches, past the top edge of the six foot wooden privacy fence. Finally my eyes stop at the leafy summit five feet or more above the fence. Clearly a tree. And clearly I’m not paying enough attention in my small yard to know what’s growing in it. I’ve been surprised many times before by volunteers. Usually seeds from other cultivated plants like begonias, cannas, maple trees, honeysuckle bush (the invasive kind), and cone flower catch me off-guard in places I know I didn’t plant them or expect to see them. Weeds of course are perpetual masters of surprise. Depending on what the plant is I remove it or transplant it if I can find a spot. Or I give it to a neighbor – minus the weeds! Volunteer tree gets by me for several years. Forsythia grows near our privacy fence. The grey wood provides a back drop to the beauty of forsythia’s yellow flowers, one of the first spring bloomers. It gives shelter to birds and soaks up the water that runs down from neighbors’ yards after a heavy rain. And within its branches it harbors a thriving little tree. The bark on both the bush and young tree are similar. So are their leaves. The first year I feel concern when one of the branches doesn’t bloom in yellow flowers or leaf out like the rest of the plant in spring. Maybe it’s the lead branch because it keeps growing taller than the rest of the bush? A good thought. It seems healthy, getting its leaves a little later so I don’t cut it back. I just let it grow – for several years. This early spring, again, no flowers on the branch and there are other non-flowering branches. I should take the hint, right? It still looks healthy so I let it grow. And later in the season – surprise! Through identification sources I think it’s a birch. But I’m not sure. Maybe from a similar tree in a nearby neighbor’s yard? From a seed or maybe an outgrowth of a root reaching into my yard? The neighbor removed his tree while clearing his property edge for a fence. I admired the tree’s smooth bark and was sad when it was cut down. Young volunteer tree could be a replacement. Since it continues to play on my sympathy this new tree gets a pass. It isn’t too close to the house. It won’t really give us shade but that’s okay because it doesn’t change the current design of the yard. Digging up forsythia and moving it a little further away, gives them both room to grow. They thrive near each other as friends. After all, forsythia covered for baby birch. Volunteer tree is a member of our yard.